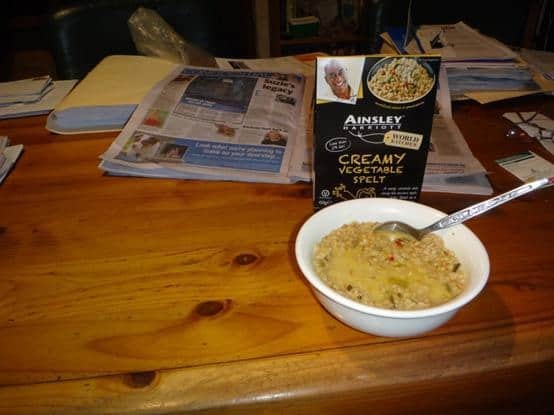 Hiking food again: Ainsley Harriott ‘Creamy Vegetable Spelt’: THIS was quite delicious (so long as you have eg a Brasslite stove to simmer it on for @ 20 minutes). 150 GRAMS = 568 calories (3.78:1). If you feel you might need more protein, a sachet of tuna, 100 gram can of ham etc might be stirred in at the end.